Instead of acting as a pain killer for a traumatised country of heroes treated like zeroes, the World Cup has provided a painful reminder to Egyptians seeking escapism of just how desperate their situation is. 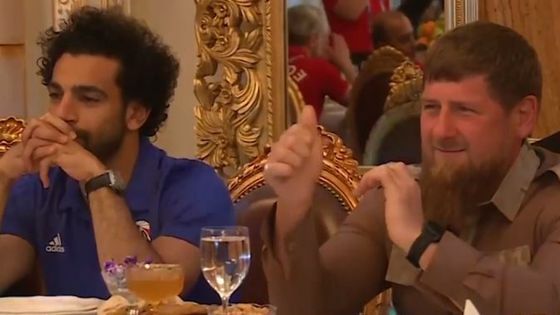 While in Chechnya, Mohamed Salah was exploited for photo ops by Chechen dictator Ramzan Kadyrov, something which reputedly outraged the Egyptian striker. When the final whistle blew on Egypt’s encounter with Russia at the World Cup, the sense of national deflation was palpable, even as far away as here, in Tunis, where I had gathered with a group of Egyptian friends and Egypt lovers to watch the match. At kick off, the mood was fairly optimistic. The team’s performance in the previous match, against Uruguay, had been dignified, only losing at the last minute. Egypt had managed to dominate play for large chunks of the game, but was unable to convert possession into goals. With Egypt’s not-so-secret weapon, Mohamed Salah, the world-class striker who has won himself a local, regional and global following, deployed in the second game, it was hoped that his talent for scoring would lift the curse of the pharaohs that has so long plagued the national side at the World Cup – which despite being the first African, Arab and Asian side to qualify in history has never won a match at the tournament – and give us the edge over Russia. These hopes were to be sorely disappointed. 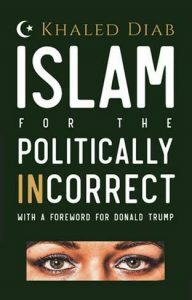 The Egyptian team was disorganised and in disarray, with none of the focus of the Uruguay game, and Mo Salah was unable to deliver what was so desperately desired by his compatriots, who hero-worship him as the man who made dignity, principles and kindness great again, with his “sudden assertion of human values within a dehumanising system,” as Egyptian sociologist Amro Ali explains in this essay. Perhaps the weight of the expectations of nearly 100 million Egyptians proved too much for his injured shoulder to carry, and his nerves buckled under the pressure in the biggest game of his career to date. Or Salah may simply have not been ready to return to the pitch following the banned judo move Sergio Ramos used to bring the Egyptian forward down during Liverpool’s encounter with Real Madrid in the Champion’s League final. When it became clear that defeat was to be Egypt’s lot, yet again, the previously festive atmosphere turned heavy. “I wish there was something we could take pride in as a nation,” one of the Egyptian friends remarked, somewhat crestfallen, after the match had ended. “Look at the street around you,” he asks viewers, as he drives through traffic. “Everyone is troubled and pissed off.” He then launches into a tirade during which he lashes out at the Egyptian celebrities flown out at state expense to Russia, the players and the coach. It is difficult to see whether this is an entirely genuine meltdown or an expression of very dark humour, but the biting sarcasm is very real. For anyone, like me, not terribly interested in soccer, it is hard to comprehend how someone can be so upset about a match that he expresses suicidal tendencies, even if it is in jest. But a traumatised, disappointed, disillusioned nation desperately needed the escapism football can provide. Instread, they got the sight of a humiliated squad returning home after losing even to Saudi Arabia, with rumours that Mo Salah’s planned to quit the national team because he did not appreciate being used as a political pawn by the regime and was angered at the mismanagement of the national team’s campaign. Saed basically admits that he regards football as the opium of the masses and one that he is more than willing to consume to “help us forget” and “make us happy for a while”. It is a sad testament to how desperate a situation is when even escapism does not offer the opportunity of escape. And for all but the hardiest and most diehard of President Abdel-Fattah al-Sisi’s supporters, the situation in Egypt appears bleak and desperate indeed. Not only has Egypt witnessed the most concerted, systematic and brutal crackdown on opposition and dissent in living memory during Sisi’s reign of terror, the economy is in tatters, the value of the pound has plummeted, inflation is way up and, as if that was not enough, severe and extreme austerity measures have acted like pain-enhancers administered to Egypt’s weakest and most vulnerable. This intolerable cruelty is being piled on a population which had enjoyed a euphoric period of heightened pride and dignity and a fleeting sense of hope for the future, when Egyptians rose up en masse, in 2011, and deposed a tyrant, the long-time dictator Hosni Mubarak. Back then Egyptians did not need a superhuman hero on the football pitch, because they were collectively the very human heroes of their own heroic story, in which they would shape their destinies. Although the military and its various civilian facade have been been trying to bottle up the genie of revolution ever since, this campaign reached an unprecedented intensity under Sisi, as if not only to punish Egyptians for having the audacity to dream but also to eradicate the very idea of and hope for self-determination and popular decision-making from their minds. The trauma of revolution and the even greater trauma of counterrevolution has resulted not only in titanic levels of despondency, disillusionment and despair but also in a mental health crisis that is looming menacingly, all the more so because it is largely unrecognised and undiagnosed. Recently, “Sisi Leave” was trending in Arabic on social media, due to public anger over austerity measures. With the relentless brutality of the regime, its divide-and-rule strategy and the PTSD suffered by the population, it seems highly unlikely that people will take to the streets to demand the toppling of the regime… at least not in the foreseeable future. Instead, frustration and pent-up anger will continue to erode the psyche of Egyptians, individually and collectively. In such a depressing climate, it is scarcely surprising that Egyptians seek distraction, escape and pain relief in soccer, or that a talented, principled and a-political footballer should be elevated to the status of near-saviour. The feel-good buzz the regime had hoped the World Cup would deliver to placate the masses has instead been replaced by an even greater level of seething frustration and anger. But at least shallow, superficial Sissi, Egypt’s self-appointed savior, will no longer need to feel threatened by and jealous of Salah’s popularity. This article first appeared in The Washington Post on 25 June 2018.